Spring has sprung! 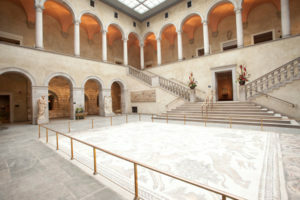 Join the Lyman Allyn Art Museum for a delightful outing to the Worcester Art Museum! Our day will start with a private tour of the museum’s permanent collection as well as special temporary exhibit Radiance Rediscovered: Stained Glass by Tiffany and La Farge. Afterwards, participants can have lunch in the museum’s café and then self-guide through the galleries. 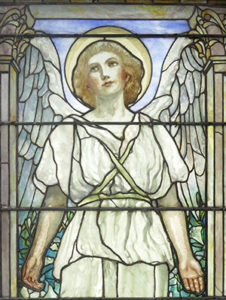 Louis C. Tiffany, Resurrection, 1899, stained glass, Worcester Art Museum, 1975.99.2. Make sure to wander through the Worcester Art Museum’s newly renovated Remastered: A New Look at Old Masters exhibition, as well as the recently reinstalled Medieval galleries and the Jeppson Idea Lab: Master Vases from Ancient Greece. The bus will depart for New London promptly at 4:00 pm. Please contact Caitlin Healy, Director of Education, at 860.443.2545 x 2110 or healy@lymanallyn.org for more information and to sign up.